Kale Chips | Time to Cook! Although you can’t tell from the picture, these kale chips are light as air! They are delicate and crispy and dissolve in your mouth when you eat them. They are really a healthy replacement to potato chips and fun to have out as a snack or appetizer before dinner. My friend Ashley made them for us and the kids and adults all loved them. It’s great to have yet another way to serve this superfood. Wash kale and dry thoroughly with paper towels. 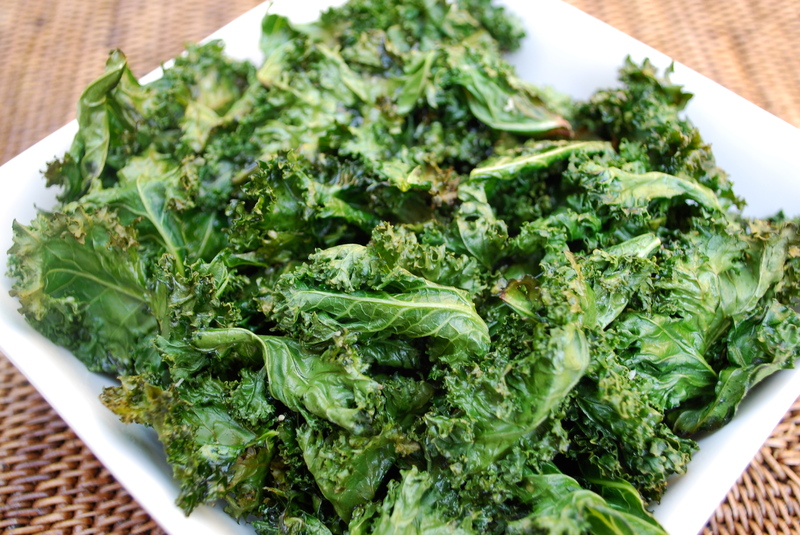 Drying the kale well is key or your kale chips will turn moist and chewy just hours after you bake them. Remove the large ribs and roughly tear the leaves into 2 inch pieces. Spread them out onto 2 rimmed baking sheets (so they are not too crowded or they will steam) and toss with olive oil and salt. Bake at 375 degrees for 13 minutes. Season to taste with additional salt if needed. Serve warm or at room temperature within an hour or two of baking (or they may turn chewy).